The Association of International Olympic Winter Sports Federations (AIOWF) and Association of International Olympic Committee (IOC) Recognised International Sports Federations (ARISF) have suspended their memberships with SportAccord. Gian Franco Kasper and Raffaele Chiulli, the Presidents of ASOIF and ARISF respectively, are Vizer's two closest lieutenants at SportAccord, serving as the senior vice-president and vice-president respectively. Kasper confirmed his body's decision in a letter addressed directly to SportAccord counterpart Marius Vizer and seen by insidethegames. Copied into the letter along with AIOWF members is IOC President Thomas Bach, as well as Francesco Ricci Bitti, President of the Association of Summer Olympic International Sports Federations (ASOIF), and Chiulli, who has also sent a letter to Vizer confirming his body's decision "to provisionally suspend any further activities" with SportAccord. Kasper's letter, however, is notably more conciliatory than other letters sent to Vizer recently. "We remain confident that in the near future a constructive dialogue between SportAccord and its stakeholders in the interests of the Olympic Movement can be achieved," it reads. The move follows that of the ASOIF which disassociated its affiliation with SportAccord in the immediate aftermath of Vizer’s explosive attack on the IOC and Bach at last month’s SportAccord Convention in Sochi. Vizer alleged the IOC "lacked transparency", that its Agenda 2020 reform process had brought "hardly any benefit" to sport and that it had unfairly blocked SportAccord in its drive to organise new Commissions and events. Every Summer Olympic sport body except for the Vizer-led International Judo Federation signed a letter supporting the decision of the ASOIF, while both the International Paralympic Committee and the Commonwealth Games Federation have made a similar move. 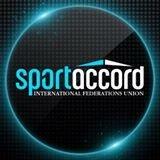 The AIOWF opted for less drastic action at the time, merely expressing its “disagreement” with “the occasion and manner in which the opinions of the SportAccord President were expressed” and calling for “constructive dialogue between SportAccord and all stakeholders in the interests of the Olympic Movement”. But following the withdrawals of 22 Olympic sports and four non-Olympic sports, it has now joined the exodus. Athletics, shooting, archery, canoeing, boxing, hockey, taekwondo, wrestling, bobsleigh, triathlon, weightlifting, rowing, modern pentathlon, volleyball, equestrian, curling, table tennis, rugby, fencing, cycling, basketball and badminton make up the Olympic sports, while karate, korfball, orienteering and motor racing comprise the non-Olympic quartet.